Holds his #1 jersey after continuing his good form. Strong at scrum time and is a dynamic player around the park. Was rested this week but can’t fault his games too much over the last few weeks. Has been the strongest contender, especially since fixing his lineout woes. Damien Fitzpatrick and Anaru Rangi have been playing well but haven’t dislodged Fainga’a. Keeping the combinations together again, AAA compliments his #1 and #2 with his strong scrummaging and solid defence. Kepu is close to taking the starting spot from him with a few strong weeks.. Even though he has been playing a lot of rugby at #6, he has played a few games in the row. He has been in unreal form and have moved him here so we can accommodate to have Luke Jones at #6. Lukhans ball carrying has all been with purpose and his defence has been fierce. Probably unlucky not to make the team of the week more often. He is an absolute work horse and does a lot of work unnoticed. Will be interesting to see him compete with Adam Coleman as it seems Coleman is coming back to form. 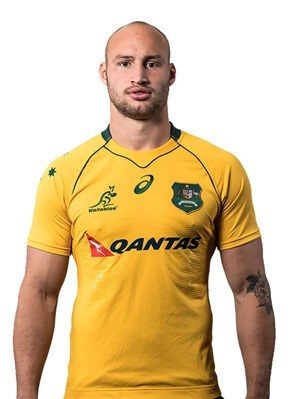 Jones looks like he has answered all of our prayers as a Wallabies fan. He is an absolute workhorse in defence, a great link player with ball in hand and is exceptional in the lineout. Perfect fit to fix out backrow balancing issues. Another workhorse. Has been almost holding the Tahs defensive line together since round 4. Gets an easy run into the side due to Pocock being out injured the past few weeks. Strong ball runner and bending the line consistently. The Rebels have been using him as a weapon to drag in defenders and he is making a ton of runs per game. He will be our battering ram alongside Salakiaia-Loto. 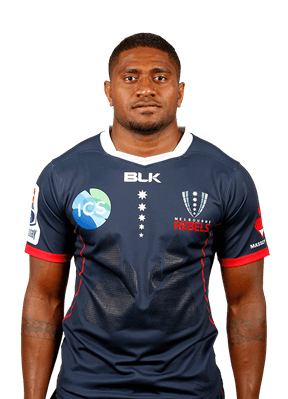 Hopefully his good Super Rugby form will translate to good international form. He is just on another level and no one in the comp is coming close to taking his spot. 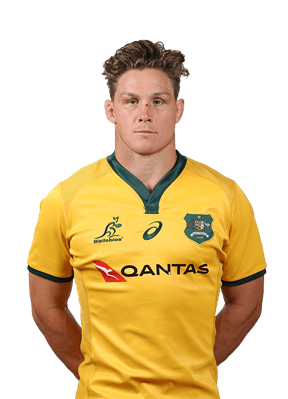 Tate McDermott has been playing incredibly in recent weeks and may end up being his back up for the WC. 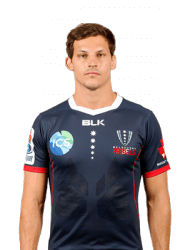 Jake Gordan has also been looking good off the bench for the Tahs. Even though Foley has started to look a little bit better with each week that passes, Quade is still firmly in that #10 jumper for me. Amazing distributer and has been making a good % of his tackles recently. Sefa has been consistently good. He hasn’t been the star of the Reds backline but has played a nice supporting role. He makes his tackles and finishes his tries. We don’t really have a left winger standing up and taking this position and would say that is the most vulnerable position in the team. Since round 1 he has been putting in good showings. He was pipped by Karmichael Hunt in our first team due to Hunt looking great but in recent weeks Hunt has gone completely missing. Meakes doesn’t seem to have bad games often (we will forget the match where he made a handful of handling errors because outside of those he played quite well). He runs hard, tackles hard and does his job. I’d expect this position to be another that is quite hotly contested. Each and every week he is a star. He has made 6/8 teams of the week and that’s including a bye. 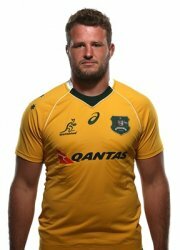 I’m unsure whether we will see him at 12 or 13 for the Wallabies but I can tell you he will be starting. Has been playing really well and putting himself in good positions to receive the ball. 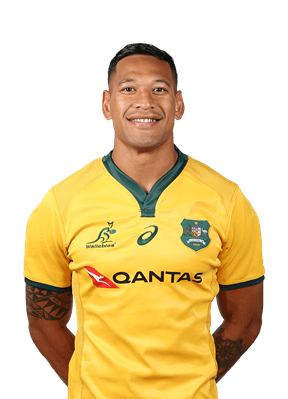 Folau moves to 15 and with Chris Feauai-Sautia being injured he hasn’t been able to nail down this spot. This will be another spot that is fought over when Dane Haylett-Petty comes back due to people moving from fullback to wing. Has been in great form as always. 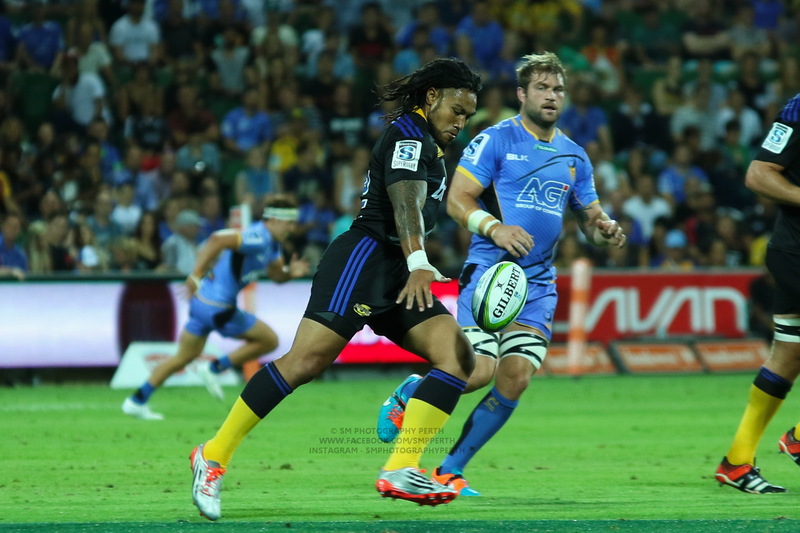 The Tahs have started using the up and unders a lot and it is paying dividends. 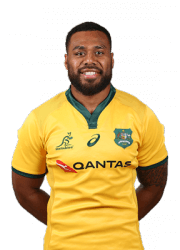 The back 3 positions will be a scrap with Folau, Haylett-Petty, Banks, Maddocks, Koroibete, Feauai-Sautia, Hodge and others competing for the 3 spots. Folau will be starting in one of these 3 spots. 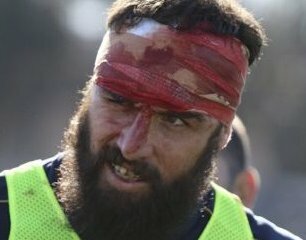 I would be interested to read who you would have on your Wallabies bench as well. I’d have chucked in HJH, Staniforth and gulp maybe even Foley as close to a spot for the Tahs. Phillip for the Rebels. I haven’t seen the last two Brumbies games ( they hardly make compelling viewing )…. has McCaffrey come off a bit or still playing decently ? Darcy Swain is very good, unfortunately for him second row is easily our spot of greatest depth right now with guns like Coleman, Arnold, Rodda, Philip, Lukhan ( not a 6 for me ), older guys such as Simmo and Carter and some good younger players like Hockings, Blyth and Swain. Really interesting article. Many of our potential Wallabies have been standing up this season – particularly in the forwards – and it will make for some interesting selection discussion. Our Super Rugby scrums have been pretty good across the board. Many of our lineouts have been good on their own ball, and there are a few steals coming up consistently. Plenty of forwards are doing heaps of work around the paddock – defences have been good, fitness seems to be good and ball carries have been good. The lock/blindside/8 puzzle seems to get more complicated each week. 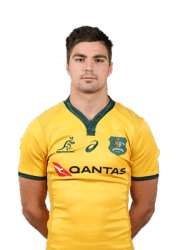 Plenty of test experience has missed out here at lock – Coleman, Arnold, Simmons, Carter – and I think Harry Hockings could have a big future. Higginbotham has been pretty good for the Reds and there seem to be good players putting there hand up every week – Pete Samu, Angus Scott-Young, Rob Leota has been impressive from the bench, as has Ross HP. Plan A means more Tahs and so that’s a cert. But it’s also past me why you’d even consider it, given the gaps in form. * It frustrates me that Lukhan is still a floating 4 or 6. Which is he? 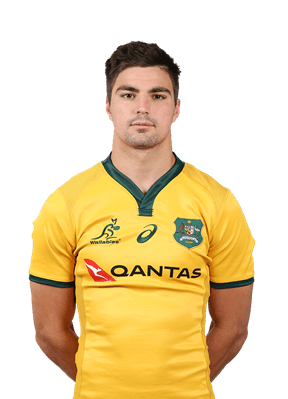 No doubt he has been in good form, but playing at 6… is he better than a Coleman or an Arnold or a Rodda in the second row? Nervous about making that call. 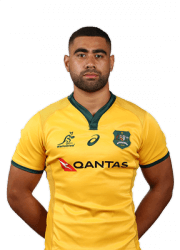 * Kerevi seems to be so at home at 12, I’m worried about throwing him into 13, particularly with the defensive challenges it comes with. For mine a Kerevi 12, Kuridrani 13 centres pairing is worth a shot… Kerevi’s distribution skills have come a long way, while Kuridrani is looking really good having lost a few kgs. Unfortunate to leave Meakes out as he has been playing well, maybe he competes for a bench spot with KHunt. Lukhan is a lock. Surely no one realistically considers him more than a stop gap 6 at super level and he’s definitely not even that at international level. I think I agree. He’s an immense player in a Super rugby squad. .. his utility is very valuable. But position specific he falls short of all the better players in those positions. He looks like he has the capacity to become one of the world’s great ball carrying locks, but he is so slow and undynamic for a 6. I don’t disagree with you that he is a lock, not a 6. 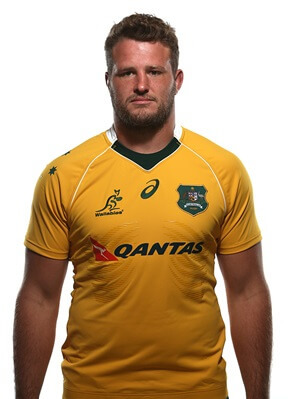 However I’m still to be convinced that he is better than a Rodda / Arnold / Coleman at lock for the Wallabies. How did Luke Jones not make this team? I mean I know this is subjective, but was a wtf moment for me. 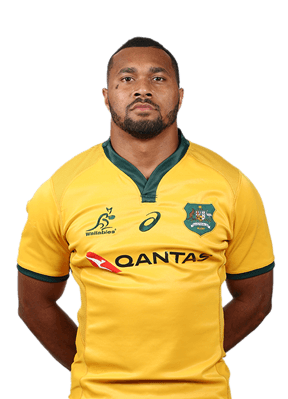 He was just about the best player in Australia this week, and just destroyed the Sunwolves’ line out. Spot on. 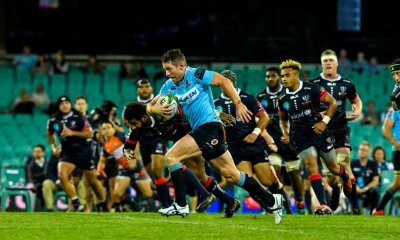 As HJH was for the Waratahs. – Selections are in line with Michael Mooneys, bar Arnold (who is our best performed Lock this year so far) being recently rested and F-Sautia who has a minor injury. – We now have FOUR bolters in the squad who are outperforming the competition! – Rangi, Holloway and Phillip putting pressure on Fitzpatrick and Simmons respectively! Coleman is now definitely stepping it up. – Is the backup to Genia now McDermott? – Naivalu consolidating his winger spot with consistency, Maddocks on the rise? Who is Michael Mooney? Some pretty dud picks if you ask me. How did Jones and HJH not get a mention this week? Kepu over AAAA? Really? As this team is picked on form, hard to see the bovine sprinkler and Gilbert geting a gong! 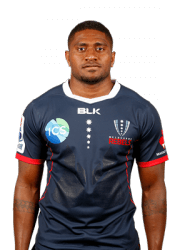 Both Tupou and BPA have stiff competition but they should pull off a selection or two before the season is out. Phipps. SO named on here in memory of his antics urinating on the public bar in a cow suit at his buck’s night a year or two ago. Always a brave option to pick the team. Thumbs up. Scratching my head at all of Kepu, Dempsey, McCaffrey and Foley, they’d all be extremely lucky to make it into the 23 in my opinion. Yeah but realistically he won’t jump ahead of Slipper or Sio, but looks like a great prospect. Very inexperienced but so many positives. Kepu is the best no3 in the country and returning to better form each week. Surely whoever is the 2nd most important man in the team (the reserve No3) will get a lot of game time but Kepu is the guy I want at Bill Time all things considered. There is no way on Gods Green Earth HJH is in front of either Sio or Slipper as-yet. Dempsey’s ability to use a modicum of footwork pre-contact makes him about the best post-contact metre maker in the Australian Conference plus he’s a handy lineout operator and scrouger. There are others who can do one or two things better but no-one else has his suite of skills. McCaffery is hand-down the best No8 in the country so-far this year. His closest competitor is Nasi but I reckon McC is the better footballer. I left Pocock out because he’s not fit atm. Otherwise Hooper is out and Poey is in. No, Poey is not an 8. Well you seem very adept at balancing a player’s possative and negatives along with potential! So why aren’t you doing that for the 10 position? Nah Kepu’s scrummaging and work rate is so far inferior to Alaalatoa this year. You could make an argument that he has the runs on the board at the international level, but conceding stupid penalties and cards is an issue he has at international level too. Dempsey has had one good half of rugby since 2017, and even that one has been nowhere near as close to Jones or McCaffrey or Naisarani. Those guys also do the tight stuff that Dempsey doesn’t. McCaffrey started well but Naisarani is outplaying him totally now. He’s played way better than Dempsey over the season though. Foley at 10 is a joke. 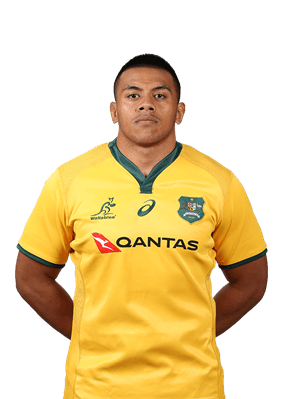 He’s played worse than Lealiifano and should be behind Toomua and Cooper. I may be guilty of being a bit too clingy with Kepu. I’m having a good hard think about that. I totally disagree on Dempsey. I feel he is top notch. Jones is playing well especially now he is being allowed to be a 6 playing 6. And please don’t think I’m picking Foley on positive vibes. It’s not that he stepped forward but rather everyone else stepped back and left him there. I would dearly love to see Toos or L’fano step forward and own it. Kepu must be fairly short odds to. This would be funny if it wasn’t deadly accurate. … I SERIOUSLY doubt anyones ability to spot form, or if they even watch rugby atm if Foley is picked in their side! Nutta, are you acting as Brad Thorn’s proxy? Morning. Who else are we picking? L’fano from Donkeys isn’t getting it done and I won’t pick QC for a similar plethora of reasons as why I don’t pick Beale. It leaves no other options. Or are you suggesting someone else? I’d LOVE to hear you flesh that argument out with both facts figures and why not throw out the bias aswell. Personally. .. I’m not going to shut out our most sucsessfull playmaker from the last 10years……whether I hate him or love him. I love him. .
Dude you are allowed your opinion. Fortunately my beliefs on who & what I feel would best represent my country don’t require your agreement. However from the stridency and underlying vitriol of your comments/responses, I feel your self-worth very much depends on you feeling that either you somehow ‘put me in my place’ or brow-beat me in some sort of a Trump-esque/Twitter rage manner to a point of me having to concede. So I’ll give you neither. And I don’t pick QC and/or Beale. You may choose not to shut certain doors for certain behaviours/reasons. But I do. Good to see Liam Wright get a mention. He impressed me with his workload around the ruck area as well. Thought he had a turnover or two, but anyway put a lot of pressure on Stormers’ ball. He looks to have an ideal size also for a lineout option No 7. Of all the rugby press each week, this, and Nick Bishop’s column are the ones I look forward to the most. Good work. The battle for back row positions, especially the No.6 jersey and the bench positions covering 6 and 4/5 is the most fascinating. When you think about it, its a long time since we had such depth in the entire forward pack, but especially at 4&5 and 6&8. 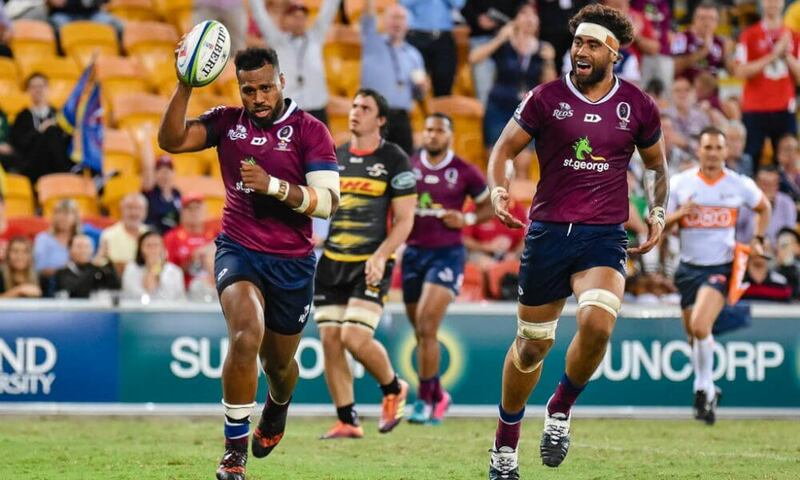 I trust that by the end of the Super rugby season some have managed to make their selection undeniable, but really so far no one has, and that’s such a good thing going into the second half of the Super season. For mine, at this stage I’d start Jones at 6. 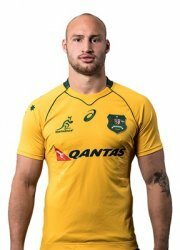 I’d have Lukhan Loto as sub, and at this stage, Pocock on the bench with Hooper starting at 7, but I have my doubts that Pocock will make it. 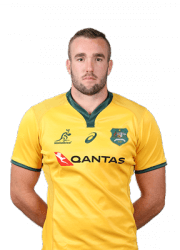 Does Cheika have a problem with Jones like he does with Higgers? We can load a forward pack with some skillful big bodies when you consider the candidates. I’ve refrained from jumping on the Cheika bashing bandwagon but his recent utterances make me lose sleep at night wondering (dreading) that he’ll go with the same old, same old………so many players deserve so much better. Man I hope Johnson and O’Connor are much more than just yes men to Cheika. I still really struggle with Lukhan Salakai-Loto. 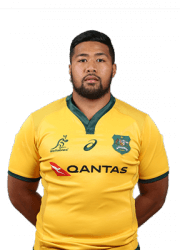 He is playing very well and is worth considering for national selection, but he has struggled at 6 in the Wallabies jersey which means he needs to be selected in the second row. The issue there is that he’s competing with a different pool of players and I’m not sure he’s a better choice than them. I also think that you’ve put Kerevi at 13 because he’s played himself into the team but Meakes’ stats are just too good to exclude him, but Kerevi has also struggled at 13. If we put specialist players at 4 and 13 in the team then it’s pretty much a top tier Wallaby team. Wallaby’s 2013 Spring Tour was an incorrectly awarded Owen Farrell obstruction try away from a Grand Slam. Don’t forget the Farrell-obstructed try was after another try where Mike Brown started the movement by carrying the ball into touch, but it was missed…….. 14 points directly off incorrect ref calls in that test. That was the last time Cooper was the (incumbent) starting 10 (because 2016, he was just holding the seat warm for Foley, while Foley was trying to find form at 12). Sorry but there is no way on earth Hegerty out performed Quade Cooper this week. For starters Hegartys stats are pretty flattering, and considering him and the whole Reds team gained very little the whole 1st half…this being the 1st half without any points since what? 10 years or something? Anyhow. .. Pretty much can sum up Hegartys impact when Mcdermott put Kerevi through a clever hole and Hegarty backed up well running them down the field for pretty much all his offensive stats in the one play. That play eventually led to the forwards scoring a try! Apart from some good defence and 4/4 off the boot(both things Quade did better) he didn’t have any other impact in the game! Quade however put a beautiful sliding pass to English in space who put Hodge over for his 2nd try. Then he puts a perfectly weighted grubber through that created the opportunity for Meakes try. 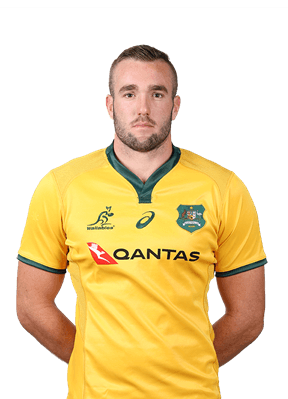 Then Quade bags a try of his own just before halftime with a great support line(just like Hegartys break) on a Genia run. Quade as mentioned also had a perfect 9/9tackles and 6/6 with the boot. Sorry but we can’t just pick players each week because we “like” them. ..or as this article suggests because “the Reds had a great showing”. The Rebels dominated for 75mins of their game not just the 2nd half. 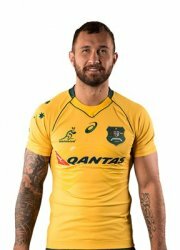 OR is it a Quade Cooper thing? Well it certainly isn’t a “the Reds had tougher oposition” thing as both the Sunwolves(much improved) and Stormers are bottom of their conferences! Agree, hegarty can swap the fringe selection if really required with cooper. Then again, quade is already a lock-in so who cares. 23 year old Rugby tragic who plays for Merewether in Newcastle. Too young to remember a Bledisloe Cup win.